Walter was born, raised and learned to drive in Chicago. After graduating from U.S. Military Academy at West Point, he was stationed at Fort Riley where he met Janice. Janice grew up in Paola, Kansas, and learned to drive at a young age on a farm. Between them, Walter and Janice have a variety of education experience with adults and teens. Walter has a Master’s Degree in Adult Education and Learning from Drake University and a background in marketing and training. Janice has a degree in Social Work from Kansas State University and a background in teaching and computers. Together they raised three children (who have excellent driving records). The two oldest children took driver education classes at a private school while living in Iowa. 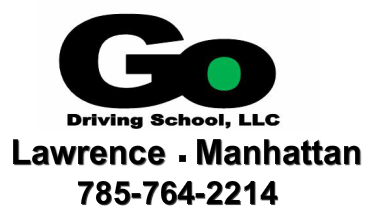 They wanted their youngest child to have a similar experience learning to drive, so they launched Go Driving School in March of 2010. Alan Welles is retired from over thirty years in state government where several of his positions involved driving over a thousand miles a week. He learned to drive at age 14 due to a family emergency that had him driving from Kansas City to Lincoln, Nebraska. His first car was a 1929 Model “A” Ford (with a rumble seat) that he and his mom rebuilt. 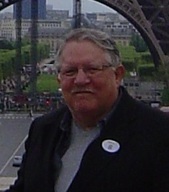 Alan has extensive experience working with young people and substitute teaches in Lawrence, Perry, Eudora and DeSoto. He resides with his spouse, Carita, in Lawrence, has four daughters, one granddaughter and two grandsons. John Cantrell and his wife, Rose Mary, moved from the East coast to Lawrence the beginning March 2013. He is a graduate of Indiana University and American University. Prior to retirement, he worked in the computer field for the Northrop Grumman Corporation. John enjoys helping people be as successful as they want to be. He works with students at the KU School of Pharmacy and the Go Driving School. Lysette DeBoard has taught music to students ages 1 to 89! 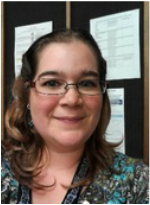 She has a Bachelor and Master Degrees of Music Education from KU and currently teaches for USD 497. Lysette is also the Music Director at West Side Presbyterian Church and has been directing the choir and bell choir there for 11 years. She has been a Girl Scout troop leader for 4 years (middle and high school aged Girl Scouts), serve as the Girl Scout Day Camp Director, and serves on the Lawrence Hidden Valley Board, Inc.
Scott McDaniel graduated from the University of Kansas with his Bachelor's degree in English and Philosophy. 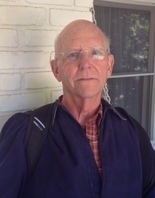 He has been teaching English, Writing, and Professional Development classes in post-secondary education since 2008. In addition to teaching, Scott has worked for over ten years as a business reporter and professional writer. He has written for radio, television, and several publications. ​In his spare time, he writes trivia questions and emcees trivia contests at many local restaurants, churches and charity events. In 2010, the Lawrence Journal-World crowned him the "Godfather of Lawrence Trivia." Brian Scheideman was born and raised in western Kansas. After graduating from Kansas State University with a Bachelors Degree in Animal Science Business, he worked over seventeen years in agriculture, specializing in customer training and improving production techniques. During this time he lived southwest Kansas and southwest Minnesota traveling to company and customer production sites in the Midwest and Heartland. Brian successfully completed driver safety courses in advanced on road defensive driving from Smith System and advanced driving and vehicle dynamics from Driving Dynamics. He and his wife Jan have two children and reside in Wamego. He enjoys various sporting events and outside activities.